In 1977 photographer Rick Smolan was traveling in Australia on assignment for Time magazine when he encountered an angry woman in the small town of Alice Springs. Little did he know that 37 years later their story would be dramatized by movie stars. “I was sent to do a story on Aborigines,” Smolan says. “I walked out of my hotel, and I looked up and saw Robyn washing the windows. I took some pictures and she got really pissed off and started yelling at me: ‘Put your f—–g cameras down!’ I went to explain what I was doing, and she said, ‘Oh, you’re American…What are you, some kind of journalistic parasite here photographing the Aborigines? 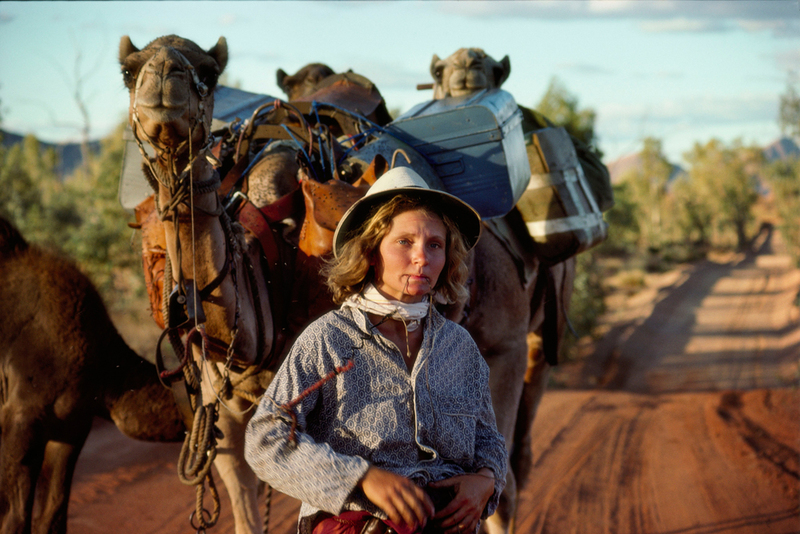 '” The woman was Robyn Davidson—the so-called “camel-lady” who undertook a 1,700-mile trek from Alice Springs to the Indian Ocean on foot with four camels and a dog as her companions. “TRACKS” is the movie version of her epic journey and evolving relationship with Smolan. Evening temperatures in the desert often dropped below freezing, so a warm fire was a welcome way to end a hard day’s work. 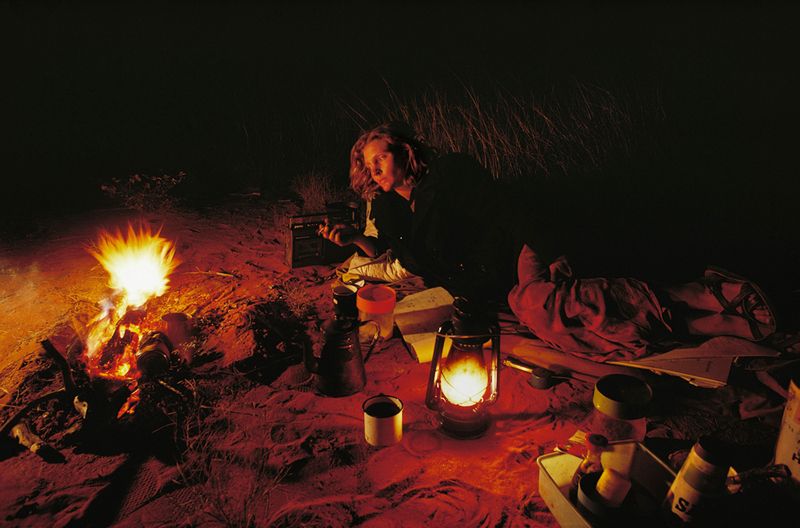 After making camp, Robyn Davidson would cook dinner and then listen to teaching tapes that taught her to speak Pitjantjara, the local aboriginal dialect. After walking almost 1,700 miles across the heart of the Australian Outback, Davidson and her camels arrived at the Indian Ocean. 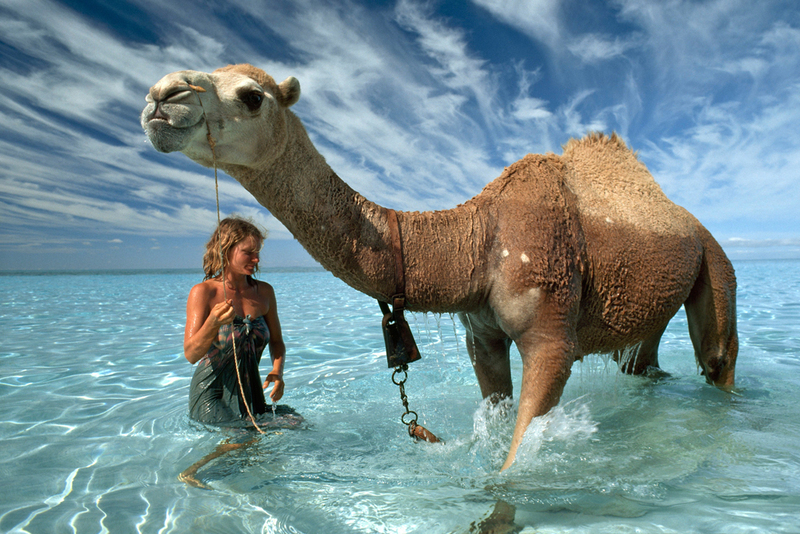 Never having seen a body of water larger than a puddle before, her camels were mesmerized. 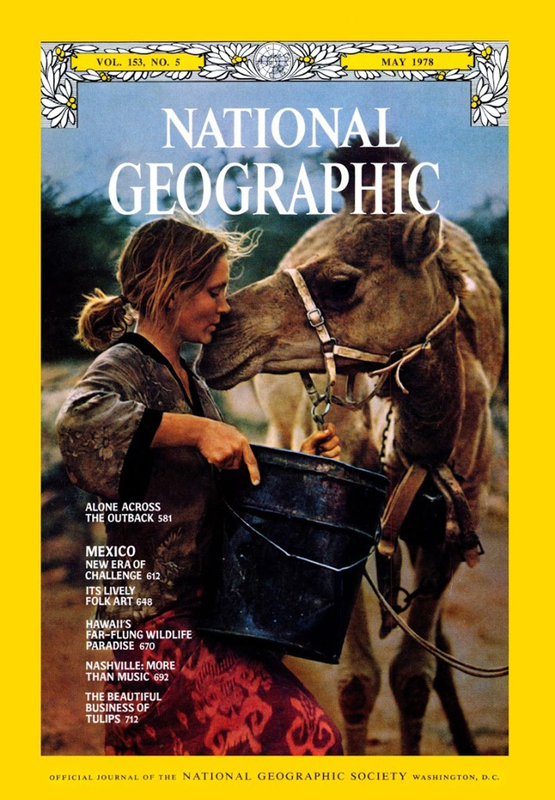 Rick Smolan’s photo of Robyn Davidson was featured on the cover of the May 1978 issue of National Geographic. 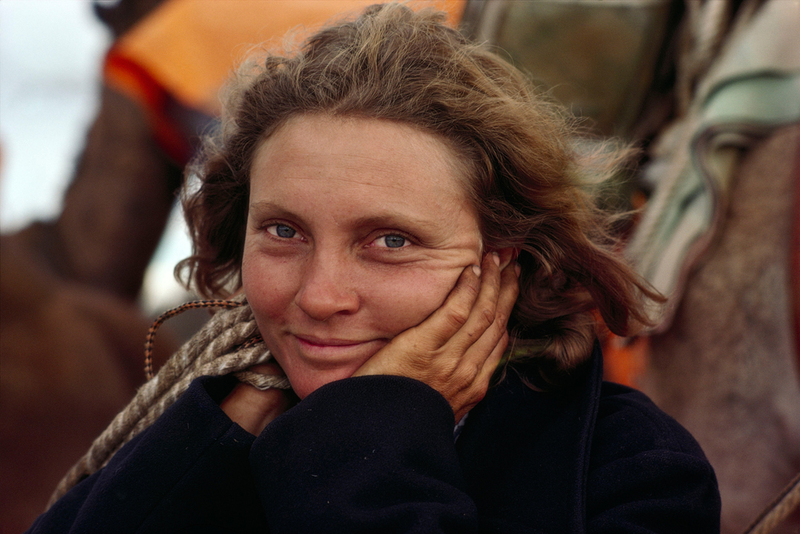 Robyn Davidson photographed in 1977 for the original National Geographic assignment. Robyn Davidson is pictured with her dog Diggity in the Australian Outback in 1977.